Oath has taken full control of Yahoo7 by acquiring Seven West Media’s 50 per cent stake in the business. The announcement follows ASX-listed Seven West Media (SWM) writing down the value of its Yahoo7 joint venture by $75.5 million in February this year, citing a shift from display to programmatic advertising. ASIC reviewed Seven West’s financial report for the year ended 25 June 2016, as part of its ongoing financial surveillance program. That review led ASIC to raise concerns regarding the carrying amount of the Yahoo7 investment. Following the write-down, Seven West Media estimated its investment in Yahoo7 to be worth $129 million. Oath is the umbrella brand Verizon created to sit across its wide cluster of 50 brands in the media, Internet portal and ad technology space. 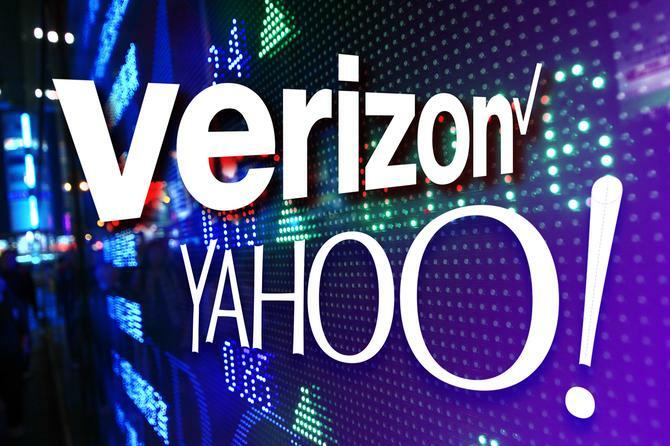 The official launch of Oath at Cannes in June last year followed completion of Verizon’s US$4.5 billion acquisition of Yahoo!. Other well-known brands in the portfolio are HuffPost, TechCrunch, Brightroll, Flurry, Tumblr, Engadget, MAKERS, and the Build Series. Verizon acquired AOL in 2015 for US$4.4 billion. Combined, Oath represents more than 1 billion people globally and is headed up by former AOL CEO, Tim Armstrong. Oath president of adtech platforms, Tim Mahlman, last year spoke to CMO about how the giant is planning an open and integrated platform approach, verified first-party audience data, and content investment to shake up the adtech platform space. This latest transaction is expected to complete by August. Current CRO, Paul Sigaloff, has been promoted to managing director of Oath, A/NZ. As part of the transition, CEO Ed Harrison, CFO, Penny Diamantakiou, CTO, Paul Russell, and director of product, Mark Robinson, will leave Yahoo7. “Over the past 18 months, we have executed our strategy to control the distribution and monetisation of our digital products, and as a result we’re seeing strong audience and revenue growth,” SWM CEO, Tim Worner, said. “The natural next step of that strategy is to sell our stake in Yahoo7, which sadly means that we must part ways with our friends in Yahoo7 and our partners in Oath. We are proud of all that Yahoo7 has achieved since it launched in 2006, from day one it has been at the forefront of Australian digital innovation. We leave it in great shape, with an audience of around nine million, and a strong future ahead of it. We wish the team the greatest success in all that they do." Oath head of APAC, Rose Tsou, said simplifying its structure in Australia and New Zealand is a big moment for Oath and its advertising and publisher partners. “We see a huge amount of opportunity for growth through our global house of brands and technology platforms. I would like to thank Seven West Media for being a great partner in working with us to build the Yahoo7 business in ANZ. We’re grateful that Ed, Penny, Paul and Mark will continue to work with us in the near term and we have Paul Sigaloff on board to drive our next exciting phase of growth for Oath,” Tsou said. Yahoo7 offerings include the Yahoo7 homepage, 7News, 7Sport, Yahoo Finance, as well as Be, and Yahoo7 Mail. Yahoo7’s digital advertising business, with a footprint in both the display and Adtech markets, aims to deliver solutions to some of the largest advertisers in the country through Brightroll and Yahoo Gemini. Read more Good-bye Internet pioneers. Hello, Oath? The current Oath portfolio in A/NZ also includes HuffPost and ONE by AOL.